Served best chilled, safe with most medications. Atmospheric textures with minimal beats. Droning atmospheric space music and ambient textures with minimal beats. 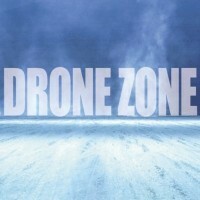 Music on Drone Zone is all about sonic textures and environments. You hear music by artists such as Pete Namlook, Steve Roach, Harold Budd, Brian Eno, Stars of the Lid, Dilate and the KLF. Absolut genialer Sound, noch wie war Internetradio so genial und einfach so meditativ! Gute Qualität und keine Verbindungsprobleme. Hier stimmt alles!!! Prima, einfach weiter so!! !